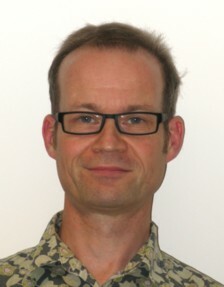 Articulate Instruments’ Managing Director is Dr Alan Wrench. Dr Wrench has been involved in the research and development of speech technology and instrumentation since 1984. At the Centre for Speech Technology research he worked on the processing of speech acoustics for automatic speech recognition systems and speaker verification systems and on visual feedback software for clients such as glossectomee patients. At Queen Margaret University Dr Wrench was responsible for constructing and utilising a combination of instruments for measuring speech articulatory movements and the author of the MOCHA articulatory database. He went on to develop the optopalatograph, an instrument for measuring tongue movement using reflected light. After a short period working in industry developing automatic speech recognition systems, Dr Wrench returned to Queen Margaret to take charge of the development and support of EPG and in Autumn 2003 this enterprise was spun out from the university to become an autonomous business.